NOTE: This is the FREE version of Elusive Responsive theme for MyBB. Elusive is a simple, clean and elegant Flat MyBB theme which can be used by all sort of community users. Elusive is a mobile-friendly, fully responsive theme for MyBB 1.8.11, optimised for performance. All the templates are all made responsive. Clean design with blend of purple and black. Use of font-awesome based icons. Replacing almost 99% of the default icons. Social sharing icons on footer. Gradient based dark grey color on postbit and threads listing. 4 column based footer with about us section and advertisement links. Scrolling top icon on footer. Easy to read color scheme and fonts. Smooth Drop Down menu on index. Drop down menu for User Profile & Control Panel. If you want to use this theme, you have to retain the acknowledgements in the footer, unmodified. If you were to remove it, legal action will be taken. CSS, HTML, Java, Bootstrap, FontAwesome. 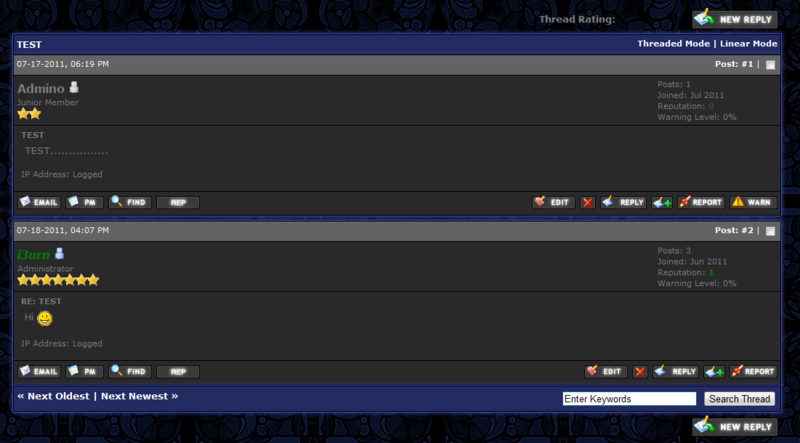 Elusive MyBB theme is 100% free to use and you can even edit the theme to your liking. If you need any help, don't hesitate to contact me at all. Support is only given to registered members on the support site listed. 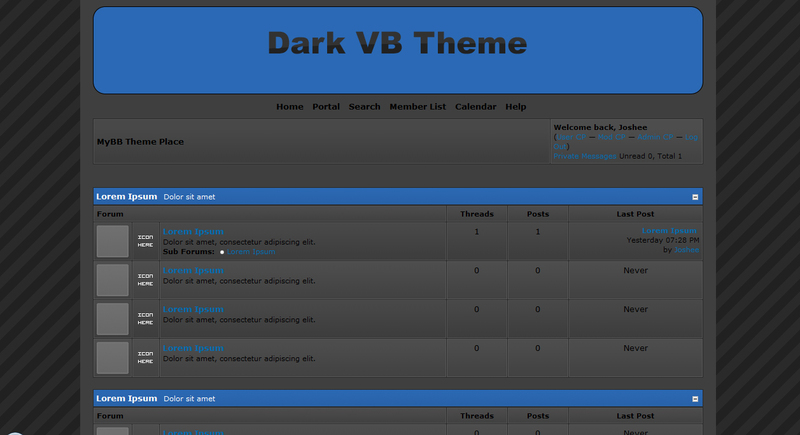 Just a nice dark theme with VB styled header. A clean dark blue theme.